After the newly founded Calgary Broncos folded prior to commencement of the inaugural WHA season, the Oilers were renamed the Alberta Oilers as it was planned to split their home games between Edmonton and Calgary. 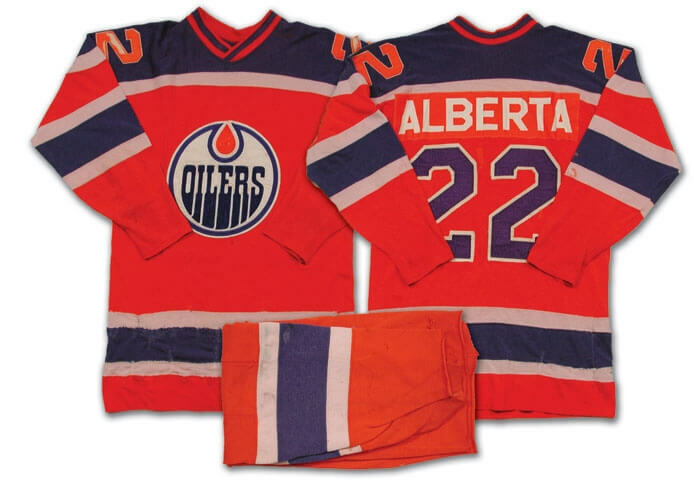 Possibly for financial reasons or to allow for a less complicated return of the WHA to Calgary, though, the team ultimately played all of its home games in the Edmonton Gardens and subsequently changed its name back to the Edmonton Oilers the following year. They won the first game in WHA history 7–4 over the Ottawa Nationals.